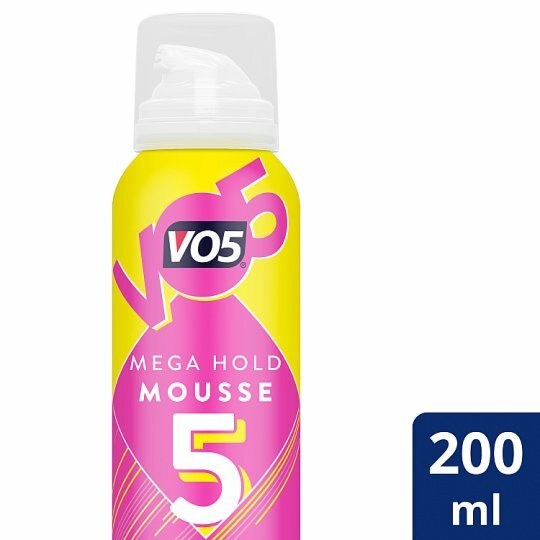 The Vo5 Mega Hold Mousse provides all day ultimate hold, and is effective for creating long lasting styles. The Vo5 Mega Hold Mousse is a very versatile product and is ideal to create either day time or evening hair styles. How to use: Shake product well before use. Use product on clean, towel dried hair. Turn can upside down, and disperse the desired amount into palm of hand and use fingers to comb through the hair from roots to tips. Style tip: For extra control, finish your style with the Vo5 Ultimate Hold Hairspray. If you liked Vo5 Mega Hold Mousse, be sure to check out the other Vo5 styling products in the full range to remix your style and experiment with your hair even further!